Don't miss out on TOMORROW'S (NOV 8th) Four Kings Casino Twitter Tuesday Giveaway Contest. Retweet our tweet at 2pm EDT for a chance to win a 10 FREE Spins on the Daily Super Slots machine. Three lucky winners will be contacted shortly after the contest is complete. I'm happy to get a new chance to win some spins! Hope this will eventually become an appointment every week, if possible even more than two times per week. It would break the "fourth wall" of the Gaming experience itself, allowing Players to not only have fun with the Casino and collect spins everyday and (hopefully) even more than one at day with the upcoming update "mini-Game(s)", but also with direct interactions with the Forum, Twitter and Twitch of Digital Leisure. For the Staff: please Admins, I know Trophies's requirements won't be changed (even if I still hope You'll change Your mind about it) because as stated from DL_Paul They simply cannot be changed; but they can be "modified". I provided a link where is shown that changing the requirements (maybe not the Name, Description and Image of it, just the requirements) for Trophies is actually possible, with a patch/Update and/or some hotfix on the server. Of course You'll probably remain the Trophy like that for now....and I can see some real efforts toward the demands of Players, and that's exciting, not to mention beatiful. And every interaction out of the Casino to win more spins and/or gifts is a very good deal. 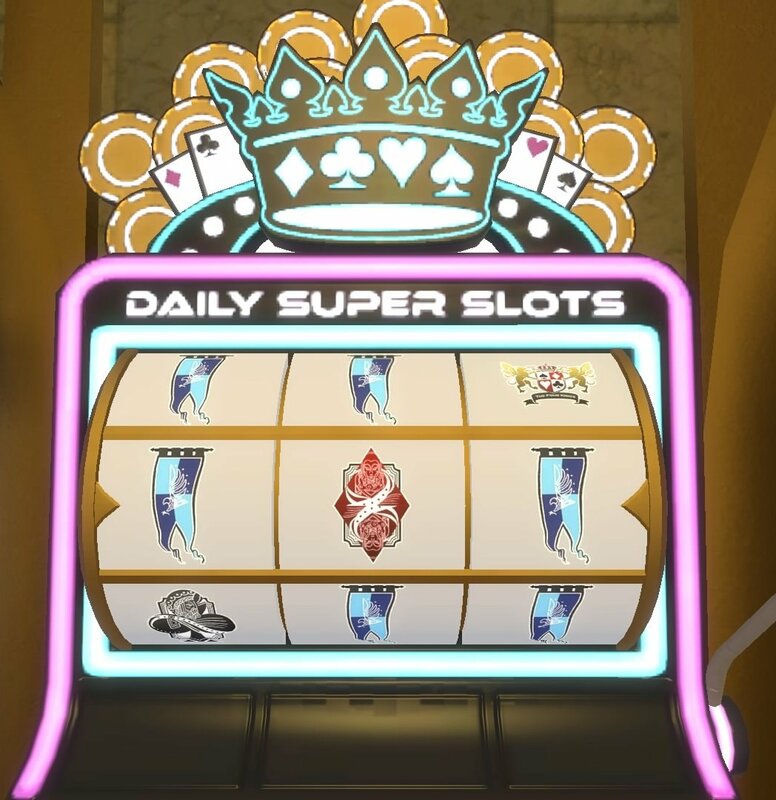 But please consider implement even something more into the casino to help Us winning a substantial amount of spins every day, for a real chance to actually win/unlock the Trophy itself. That said, if You'll ever release an "Avatar Pack" on the PlayStation Store and I'll ever manage to get this Trophy, I'll buy the entire Pack and set as an Avatar, for an entire year, the image that resemble the "We Three Kings" Trophy. ViciousVampireV --- Appreciate the suggestions moving forward, but the current trophies will not be changed. Further discussion about this will result in the removal of the thread. Thanks. I made the Retweet (probably two times, I just Subscribed to Twitter so I'm new to the platform, sorry) and I was the first on the exact right time. Did I win? But will You at least give Us more and more chances in the future to get more spins daily, or not? I think it's the only think that remain to know and then well....We'll have no choice but to accept. I saw the Achivements on Steams and the (probably) 3 Trophies You'll add at the end of the month regarding BlackJack: They'll be not easy, but doable. So the only "problem", and I speak for MySelf, will be only this one. I have nothing much to say more about it, so be sure, Paul, that You won't have to bother delete new Threads that could spin (eheh....funny joke uh?) around this tedious Trophy. The contest is officially underway! Click the link below and Retweet our Tweet for a chance to win 10 Free Spins. Thank you to all that participated in our Four Kings Casino Twitter Tuesday Giveaway! Our three lucky winners will be contacted shortly via direct message. Will you be doing this again? It was fun. Here I thought they were going to do the friday get together too. If there is a standard date and time, you'll have more people there. The stream this week was moved to Wednesday due to unforeseen circumstances. Generally it should be on Fridays. I am glad you guys are enjoying these as much as we are! Which, by the way...! If you like these events and giveaways, feel free to follow us on Facebook and Twitter if you haven't already. We post there as well when we're doing events, sales and giveaways. And if you tag us in a post or tweet, we love sharing when you get a big win! I'm following you on facebook, twitter, twitch, twerp, here, and it seems like I miss you guys every time. First week it was because I didn't know when was supposed to be. Second time was because I was an hour off. 3rd time was because you moved the date. I just can't win. In fact I was waiting yesterday, but nothing happened. Will You Stream today or....? Yes we will be streaming today at 2pm EST. John....SOMETHING is happening on the Casino, right now. It's a major graphical glitch of some sort. It stays even after changing Servers. Should I Stream and show You what the hell is happening!? I'm recording videos and taking screenshots, just to be sure. EDIT: I'm starting the Stream in case You could watch in few minutes. It's crazy. I just wanna say a big THANK YOU. Even if in My screen I was leading, You believed Me. And made My day. Love You, John.